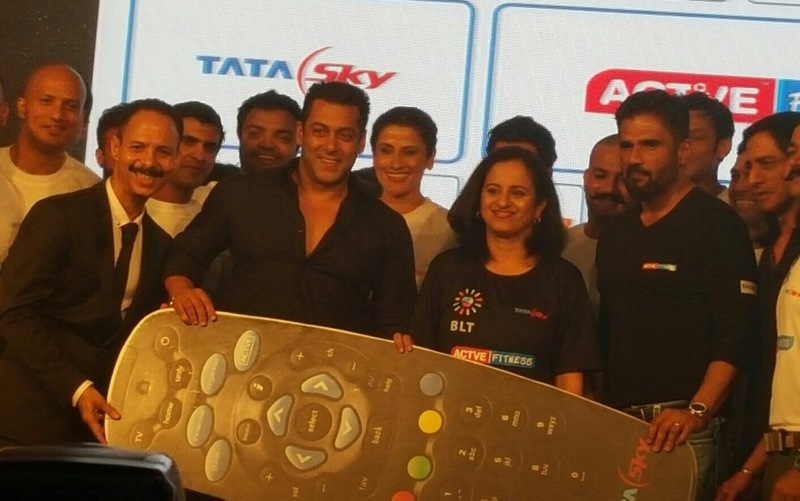 Mumbai, Maharashtra, India: ​Recently Mickey Mehta was part of the media launch of Tata Sky Active Fitness on with Bollywood Superstar Salman Khan and Sunil Shetty along with Pallavi Puri from Tata Sky. Global leading holistic wellness guru has launched the channel and will also be having video content on the channel and live coaching capsules as well. Mickey Mehta is a leading fitness guru and holistic expert personified for more than 25 years has undertaken extensive research in this space. A philosopher to his clients, a life coach to his friends, an author for his fans and a brand name for the others. Mickey Mehta believes in interwoven philosophies like zen, tao, tantra and ved complemented by blended disciplines of exercises like Calisthenics, functional training, boot camp, agility drills, tai chi, pilates, yoga, swimming. Some clients who swear by his holistic teaching include; Bollywood Actress and Models like Sunny Leone, Priyanka Chopra, Preity Zinta, Bipasha Basu, Lara Dutta, Smriti Irani and many more. Mickey has various activities in Mumbai as well as all over the country. He also plans to expand his wellness centers to countries overseas.